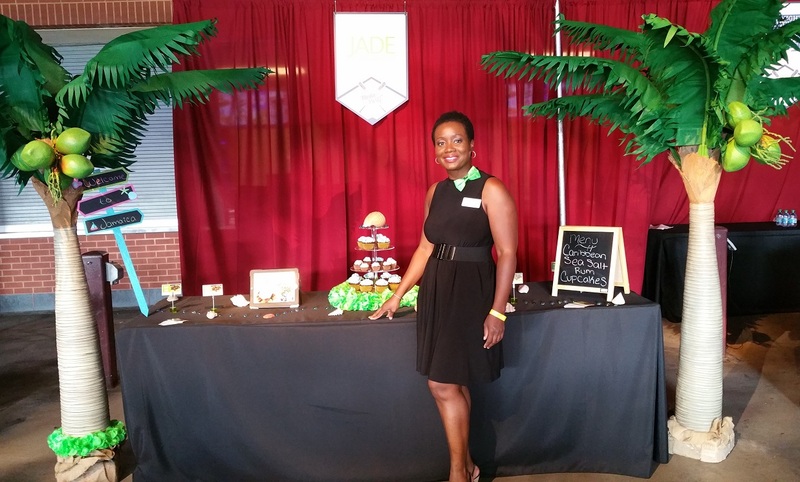 Janet Davis ’96 (Communication Media), a noted chef, restaurateur and the CEO of JADE Jamaican Grill, was chosen from hundreds of applicants as a culinary vendor for two events held during the 2016 Democratic National Convention in Philadelphia, Pa., in July. 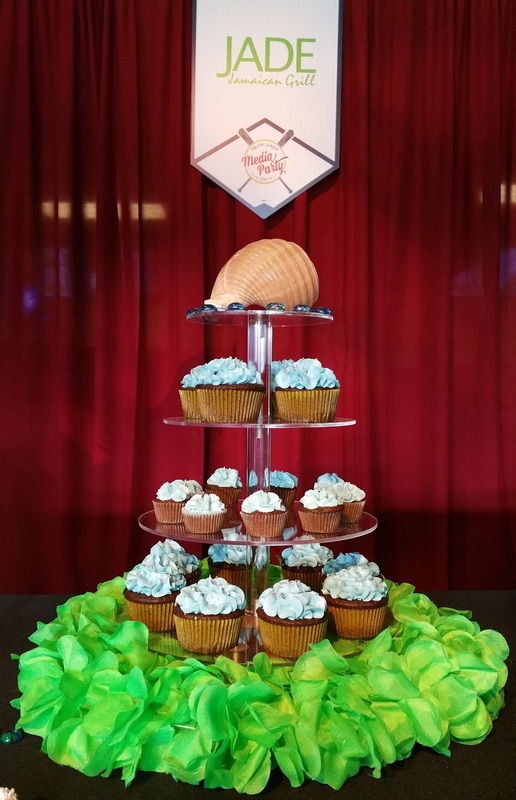 Thousands of guests sampled JADE’s signature rum cupcakes with Caribbean Sea salt frosting at the Media Party at Citizens Bank Park on July 23. Attendees also enjoyed jerk pork and rice and peas at the Welcome Delegate Reception, held at the Kimmel Center for Performing Arts on July 24. A few days prior to the event, Davis made a live television appearance on the local FOX news program, Good Day Philadelphia, where she featured the three dishes that would be served at both convention events. Born and raised in Jamaica, the alumna’s fascination with food began at an early age when she joined her mother in the kitchen at home and at the family restaurant. She spent her early career working in human resources and earned her master’s degree in communications from Temple University in Philadelphia, Pa.
Davis began pursuing her passion for cooking full time in 2009 and made her mark as the “Spiciest Chef on the Block” with numerous television appearances on FOX Philly and NBC Philadelphia. 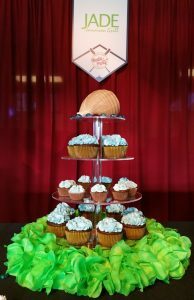 She later worked with national dairy cooperative Cabot Creamery as a Regional Media Chef, where she participated in events like the Atlantic City Food & Wine Festival, the Ed Hitzel Show and Taste of the Nation in Philadelphia. In 2011, Davis grew her catering business into a restaurant named Scotch Bonnet Restaurant that she later rebranded as JADE Jamaican Grill. She transformed the restaurant into an off-premise food venture that offers corporate catering, personal chef services and cooking instruction. In addition to her work, Davis also gives back to her local community and supports numerous causes, donating her services and sharing her knowledge and expertise via speaking engagements. She was the keynote speaker at the 2016 Bi-annual EOP Conference at SUNY New Paltz and volunteered her time as a panelist at the College’s first Women’s Summit in April 2015.